If you work in the motor trade business, you’re well aware that motor vehicle inspection technology has to update almost as frequently as that with which the latest cars are being built. Given such, within an increasingly digitally dependent world, more and more customers are looking to source their latest motor purchases remotely via online capabilities in preference to in person, whether that be via computer-based or mobile interfaces. Even motor traders are sourcing stock this way. 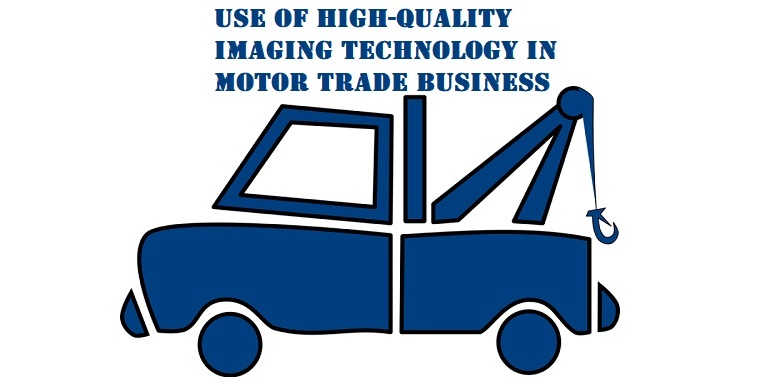 To this end, high-quality imaging technology is a critical part of any business in the trade. Indeed, digital automotive retailing has become quite different from the face-to-face auctions and forecourts of old. The internationally released GardX AD-Vantage of the US’s digital specialists SpinCar is one such recent innovation in motor vehicle inspection. Essentially an imaging product that speeds up stock sourcing by permitting a 360-degree view of any car on its system, SpinCar was originally developed off the back of market research that identified how many dealers didn’t bother to upload images of their stock online, narrowing their sales potential exponentially. Covering both the exterior and the interior views, any inside shots are facilitated by use of a Ricoh two-lens device, recording images from between the front seats. These capabilities are even available via mobile through a VR platform without the need for additional hardware attachment. This type of technology is crucial when you are buying either online or via a mobile app from a location remote to that of the vehicle you are considering purchasing for trade. The zoom feature is of particular use in this car merchandising platform. Indeed, so successful has the implementation of GardX SpinCar been so far that Cox Automotive’s Modix has joined forces instead of competing this month, with a view to better this specific area of image technology for the future, rather than hinder the market with a needless two-horse race. This will provide traders with an opportunity to almost immediately boost their business in a way that has never been seen before. Given that 360-degree viewing is a critical piece of technology in the motor trade, dealers should keep an eye out for new developments next year. Used commercial vehicles traders could even benefit from this once it becomes less niche, used in wider bidding circles, and thereby more affordable to implement even in smaller businesses. Certainly, bringing 360-degree imaging technology in-house to motor trade businesses will be simplified by the inclusion in the package of an iOS device preloaded with the application which automatically links to the central DMS of the company – no external tech help needed. Statistics show that this latest high-quality imaging technology increases lead submissions over 40% and boosts vehicle page engagement to 56%. It makes commercial sense to await the broader release of this technology and then quickly invest in its implementation to make sure your business stays abreast, if not ahead, of the competition.